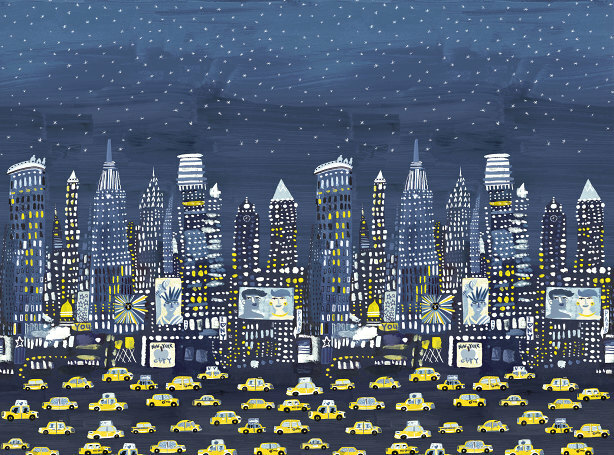 Make an impact with our NYC wall mural designed by renowned illustrator Christopher Corr. 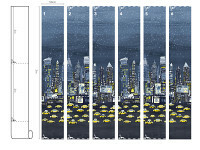 Walk the streets of New York City with a night time backdrop of soaring sky scrapers that touch the stars. 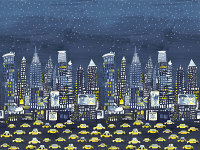 See iconic yellow cabs whizz by. Grab a cab and go downtown!